We have always planned to create a magazine or booklet…some form of printed publication or other, with which to celebrate and record our progress, our ideas, the stuff that got away…but mostly our collaboration with each other and with the people along our route. We may still be able to deliver this a a hard-copy paper publication at some point in the future, as a way or marking the project – or as an online event. 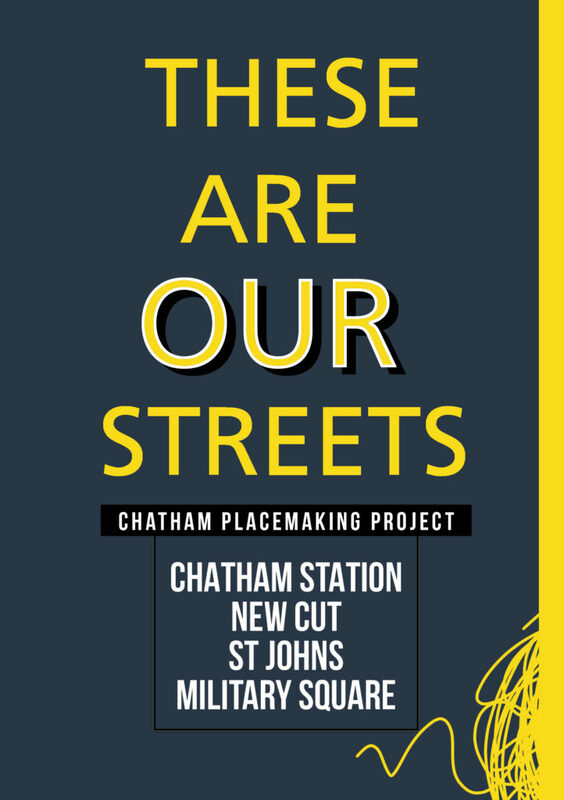 The following images will take you with us on part of our journey to create the draft and concepts for the work you can now see embedded into the pavements of Railway Street and Military Square. The content has been generated in collaboration with other artists and creatives, commissioned to deliver specific aspects of our work, but who directly and indirectly contributed so brilliantly to the outcome. FrancisKnight Public Art Consultants, Rob Young – Writer, Xtina Lamb – Printmaker, Simon Williams – Filmmaker & Paul Baker – Graphic Designer. 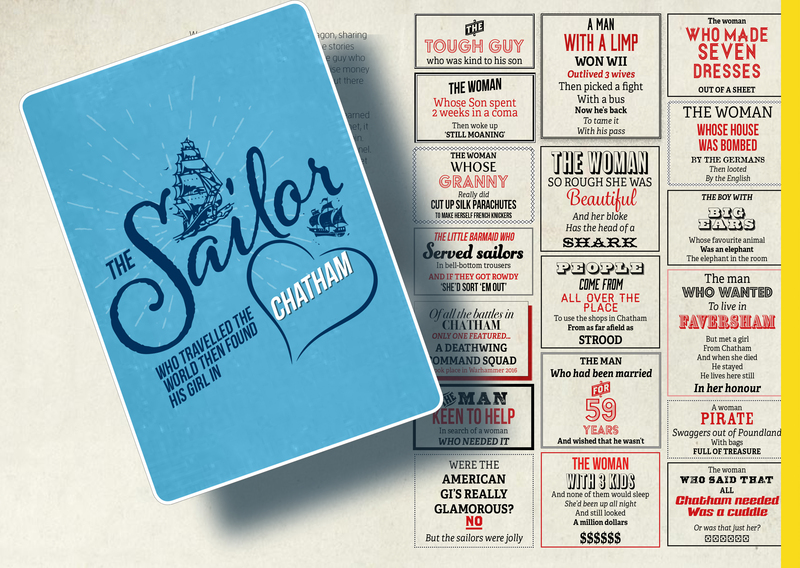 “I’m not from Chatham, I’m just visiting…I come here a lot – Every Day !”. 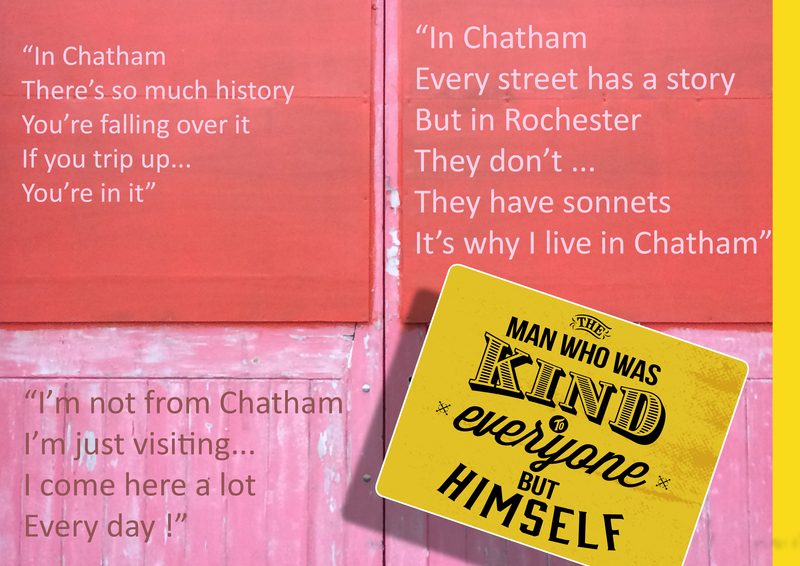 The voices represented here are everyday voices of people in Chatham. 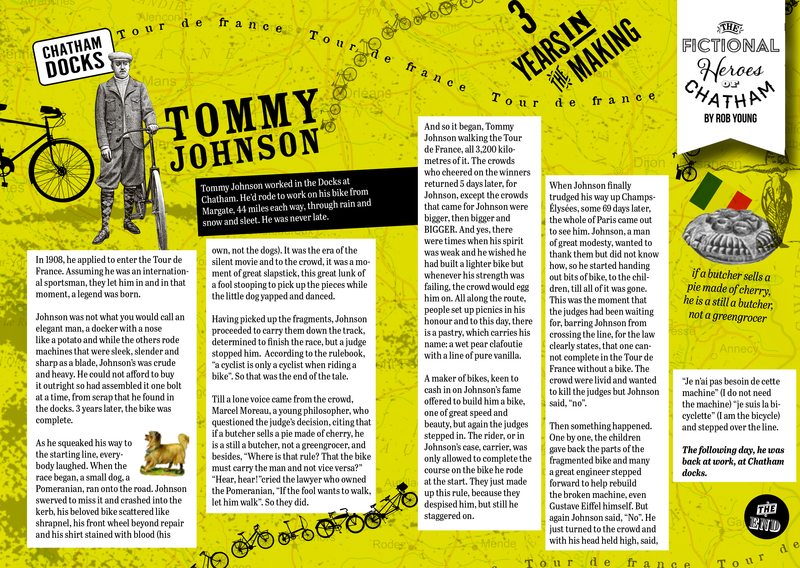 Writer Rob Young sent time talking to small businesses and the people who worked in them along our route. He is a good listener with an exceptional ear for a ‘one liner’; a swagger, a forgotten hero, a heartfelt sentiment softly spoken. These overheard or anecdotal lines have been captured in stone set into the paving. Not all could be used. Many are reproduced here for the first time. 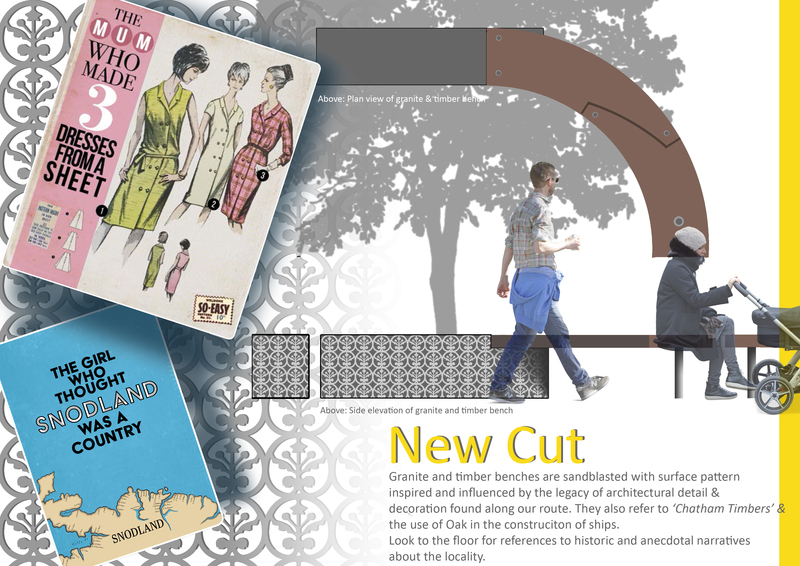 This was a draft layout for the information page – a bit of what we were planning. It is quire ambitious, but we actually achieved an enormous amount. 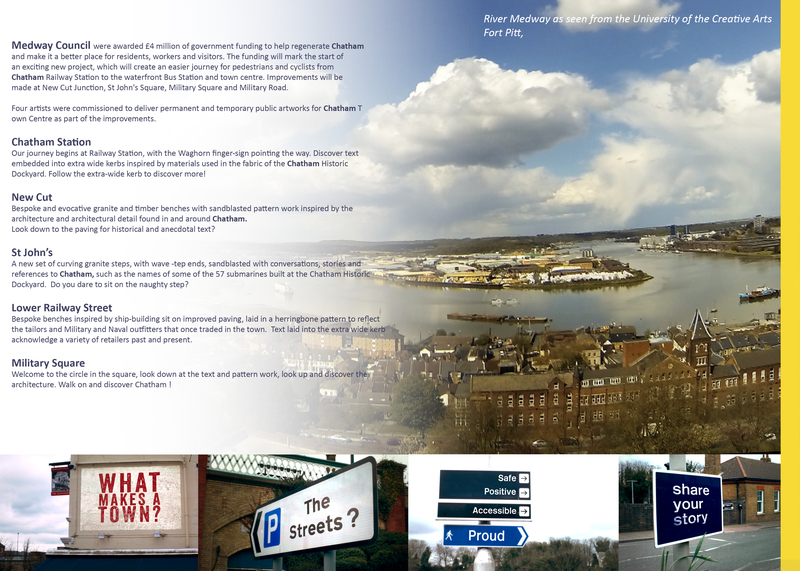 The fantastic panorama of the River Medway was taken by Filmmaker Simon Williams from the roof terrace of Fort Pitt, now the UCA Rochester Campus. The mock-up street signs were the outcome of a collaboration between Rob Young, Simon Williams and myself. 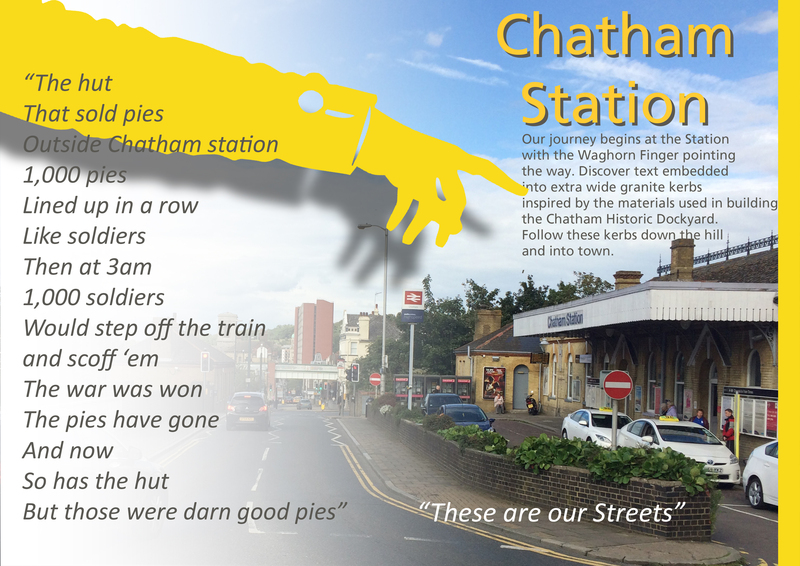 Chatham Station and it’s approaches were always at the head of our scheme. 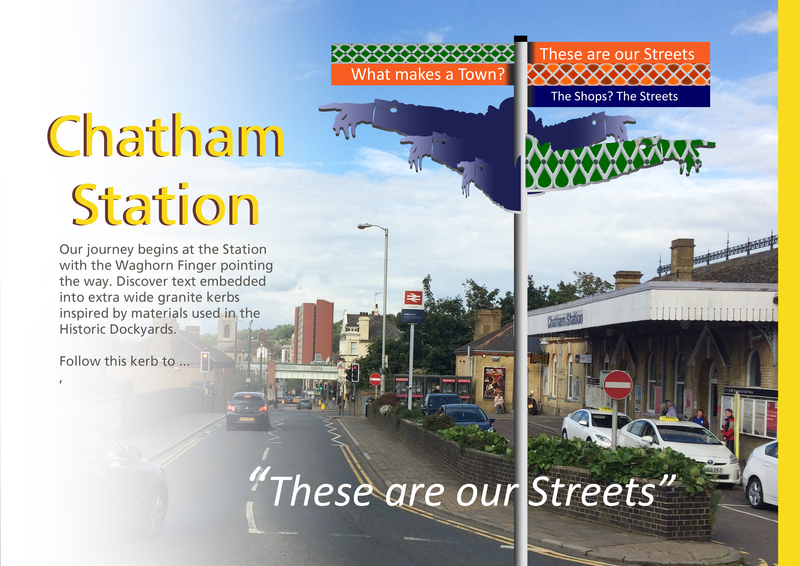 Designs and public art have been prepared and approved, to become a part of the regeneration of the Station, which has just started on site. Click on this link to find out more. Draft Magazine – Pages 8 & 9 V2 : THESE ARE OUR STREETS. Image: Christopher Tipping. 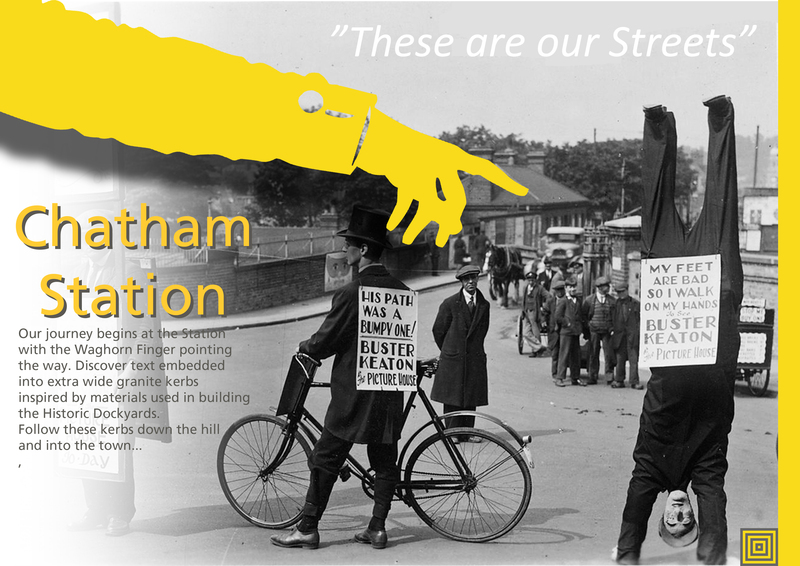 Draft Magazine – Pages 10 & 11 V1 : THESE ARE OUR STREETS. Image: Christopher Tipping. 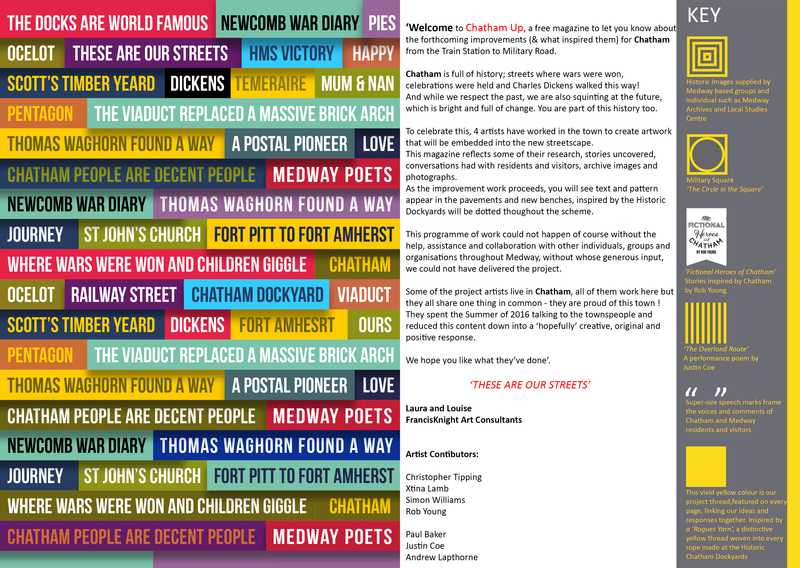 Draft Magazine – Pages 12 & 13 V1 : THESE ARE OUR STREETS. Image: Christopher Tipping.